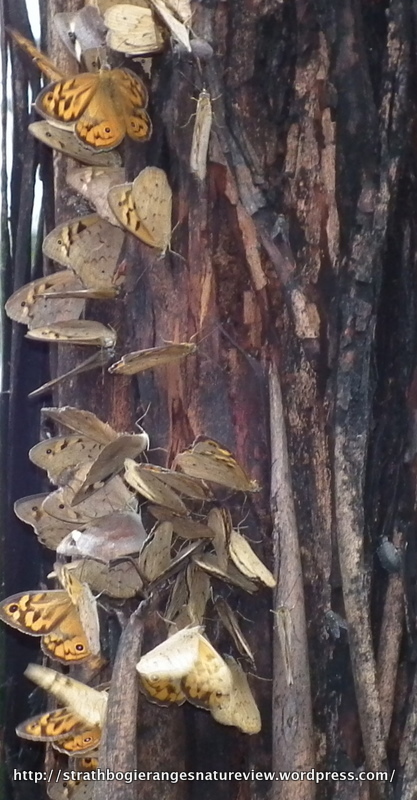 In this cloudy, rainy, cool weather butterflies often seek sheltered spots, where they may congregate in large numbers. 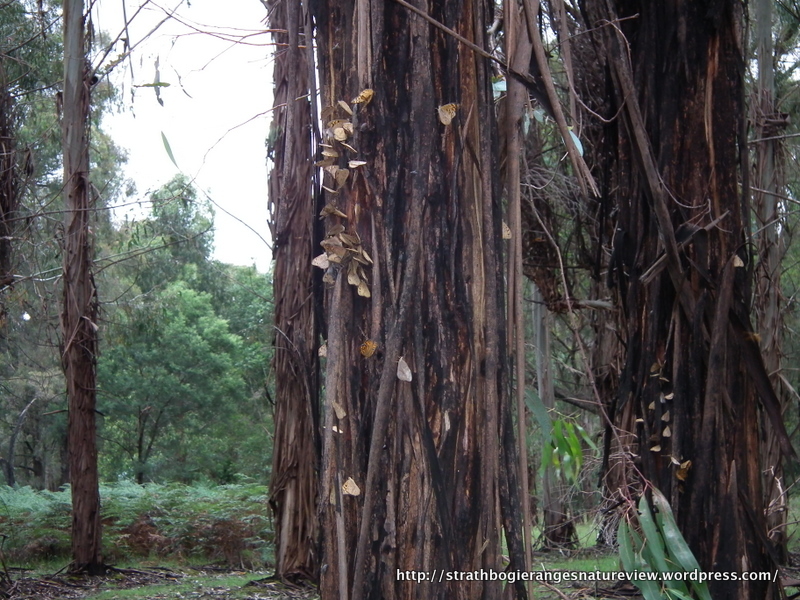 Here, on the slopes of Mount Wombat, Common Browns have gathered among the ribony bark of eucalypts, on the northern part of the tree trunk where the sun will warm them when it pokes out from behind the clouds. So gathered, they must be easy picking for a hungry bird or antechinus. Close-ups of male Common Brown in an earlier post HERE.